Historians have found references of this beautiful dog since the mid 18th century but also in other parts of the world the historians found that the breed was shown in several types of unique art like engravings, paintings, models and early writings which have accounted for the presence of spotted dogs of the same size throughout Africa, Asia and Europe. History also tell us that ancient gypsies carried these dogs in their trips around the world, which also explains the great widespread and popularity of the breed. Later on, dalmatians were brought to Great Britain by members of the British upper classes who made trips to Europe and would often come back accompanied by some of the striking spotted dogs. ahead of the first horse, which was an impressive sight to see! When, in 1860, Great Britain held its second dog show there were only five breeds represented. These included Dalmatians, and so far as history records, this was the breed's initial appearance in dog show competition. President of the British Dalmatian Club and a third generation owner of this breed with which he himself was involved for more than half a century, Dalmatians might not have survived World War I.
Mr. Kemp is credited with having kept alive dogs in his kennel through the difficult and in many cases devastating period between 1914 and the Armistice in 1918, providing breeding stock at the end of this period. It is exciting to contemplate what happened to Dalmatians in England at the close of World War I. They fairly leaped ahead in popularity, the two Dalmatians registered with the Kennel Club in 1918 having increased to 125 by 1925 and to 889 by 1932. When the world famous dog show resumed, following World War I, there were two Dalmatians entered. In 1934, no fewer than 199 Dalmatian entries filled the classes for the breed, of which 15 were provided. The dalmatian also became known for his very famous role of being a " firehouse dog". This was said to have started with the dogs being used as ratters, for the function of killing vermin in London's stables and firehouses, which they did with expertise. Today, many Dalmatians can still be seen riding on the fire trucks with their masters. 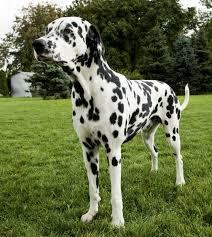 Dalmatians are still considered as the mascot and are often found in firehouses around the world. But the Dalmatian is not only known as the "firehouse dog", he also worked in war times as a sentinel, served as shepherd's dogs and as draft dogs. They also have been seen in circus shows as "assistant" of the clowns, their intelligence, aptitude, and showy appearance having fitted them particularly well for this activity. About the Author: Hector Sanchez runs the online store My-dog-supplies.com specialized in electronic dog fences . 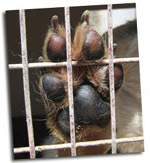 To see how you can benefit from electronic dog fences check the free video here.